You may remember me mentioning my hatred for gnats. Well flies are even worse. I’m one of those weirdos who wears house shoes at all times. Mine are flip-flops. The great part about them, however, is that they double as weapons. When a fly would mistakenly enter my house, I would pull up the blinds and wait. Eventually, attracted to the light, the fly would buzz toward the window. I would attempt to smack it with my shoe. Picture me, minding my own business in my house. Dutifully sweeping, doing laundry, cooking, or writing a blog. Okay, okay. More likely I’m watching Scrubs on Netflix. Not the point. My ears twitch. My whole body tenses. I pause the show, even though JD has just said something hilarious. There’s a fly in my house. I get up from the couch and creep into the kitchen. Sure enough, the stupid little bug is hovering around the kitchen window. Carefully, I close the doors that lead into the other rooms, thereby trapping him in the kitchen with me and my deadly flip-flops of terror and doom. I pull up the blinds so that the window is fully exposed. And a wait, shoe in hand. 1) VICTORY… and fly guts on my window and shoe. 2) I missed… now I’m stuck waiting for the nasty little thing to come back. 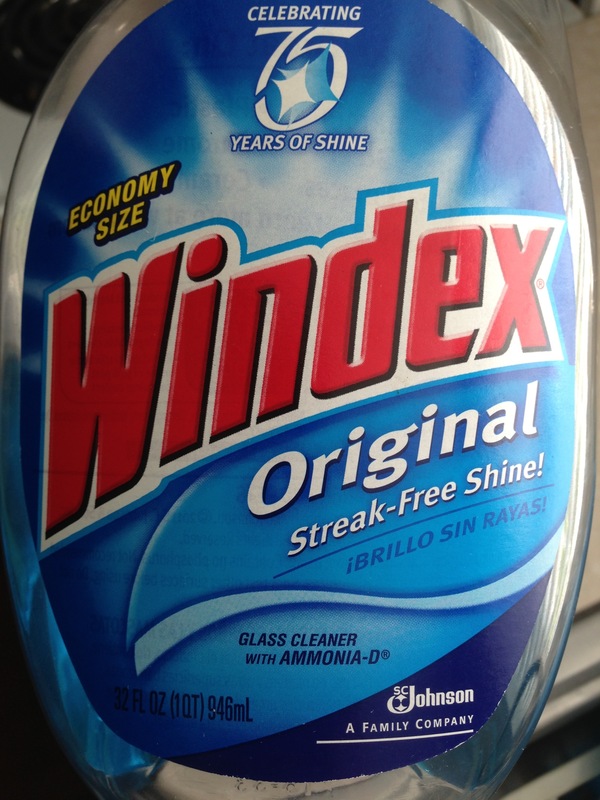 When the fly comes to the window, spray it with Windex. The chemicals cause the fly to become confused and it will slow its moving, stopping to rest. Taking advantage of this golden opportunity, you take a napkin and pick up the fly, squishing it and WINNING. Then, you followup with a paper towel and clean your kitchen window. Someone please tell me why I didn’t know this sooner? !